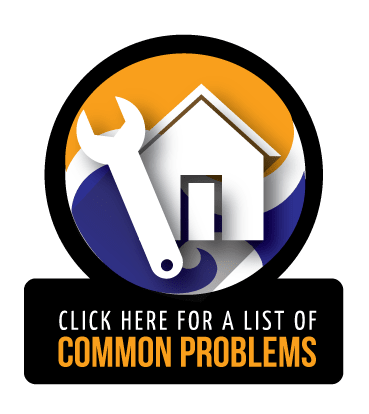 What Causes Floor Cracks in Omaha Homes? No matter how thin the crack is, water is forced up through them and into your basement because of hydrostatic pressure. 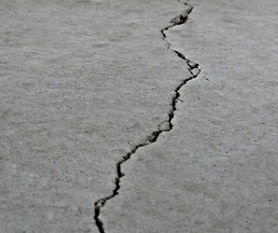 Floor cracks can also be a sign of foundation settlement. If your basement floor cracks are caused by foundation settlement, this can be a sign of serious structural problems to your home. 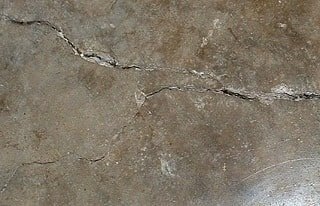 It is important to call an expert in and take a look to see why your Omaha home has floor cracks. The professionals at Jerry's Waterproofing will take a look and find out the reason for these floor cracks and offer you the best solution. 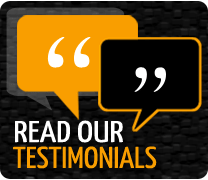 If you find any signs of foundation settlement and want to know why you have floor cracks in your Omaha home, Jerry's Waterproofing will be happy to come and take a look. Whether it is basement waterproofing you need or foundation repair, we have the experts and products to get the job done. Contact us for a free estimate. If floor cracks in your Omaha, Nebraska home are caused by foundation settlement, Jerry's Waterproofing has the foundation repair products and experts to get your foundation back to its original level. We use steel push piers and helical piers made by Earth Contact Products (ECP), the leading manufacturer of foundation repair and basement waterproofing products made in the industry. One of the most commonly used repair products that we offer is steel push piers. These steel push piers are driven deep into load-bearing soils. The function of steel push piers is to support and stabilize your structure's load-bearing walls by transferring the weight from weaker soils onto these steel piers. Helical piers are excellent for foundation repair and stabilization of sinking and settling foundations that are failing due to unstable rock layers below. These helical piers are similar to a large screw that provides foundation support. Helical piers are for deep foundation solutions and transfer the load of the structure through unsuitable soil deeper in the earth. If you find floor cracks in your Omaha, Nebraska home, contact the experts at Jerry's Waterproofing and let the experts take a look and offer you the best solution needed to get the problem taken care of. Don't let a wet basement or foundation settlement leave your home damaged. We can help, so call today!